Catering, take-out and restaurant dining options for a deliciously simple holiday. Thanksgiving is a week away, and we can hardly wait! And, yes, that might just mean eating out. - Dickey’s has Smoked ($39.99) and Cajun Fried ($49.99) Turkeys, as well as Spiral Sliced Ham ($49.99). All feed 8-10; whole holiday meals are also available. - Sonny Bryan’s whole Smoked Turkey ($39.99) feeds about 16. 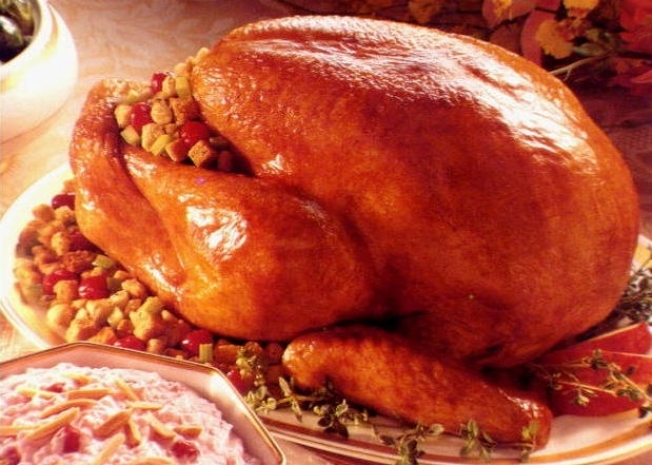 Sliced boneless turkey is $11.29/pound and sides are also available. - Always delicious and convenient, Whole Foods’ bakery also offers gluten-free and dairy free options. Many are available daily with no pre-ordering necessary. See website for product list. - Sugarless DeLite will thrill any guest who can’t partake in traditional sugar-laden desserts. (And these treats are so good, you’ll be sneaking slices yourself!) See website for details and ordering information. - Eatzi’s holds a special place in our hearts (and stomachs) when it comes to gourmet goodies. From Pecan Smoked Turkey Breast to classic Cornbread Stuffing, they’ve got everything your heart desires. Visit eatzis.com for all the details. - Savory Catering, from the earth-friendly folks who brought us State and Allen Lounge, is also offering full holiday meals for the taking. Featuring numerous main dish and side options, bread and dessert, you can take care of business for $15 per person. Visit savory-catering.com. - Central Market is another never-fail resource for those with great taste and little time. Check out their helpful Holiday Guide online for many delicious options. - Fine dining fave Tre Amici is hosting a Thanksgiving Dinner on the big night for $38 per person. They’ll have a live pianist and wines under $300 are half-off for the occasion. Rockwall’s Restaurant AVA is hosting a top-flight Thanksgiving Buffet, with 11 a.m. and 1 p.m. seatings. For $40 per person ($15 for kids 12 and under), enjoy Turkey Breast, Prime Rib, Candied Sweet Potatoes and more. Contact each restaurant for reservations. - Sure-fire family pleasers Luby’s and Furr’s are each open on Thanksgiving Day – and they’ve got plenty of turkey for everyone in your brood! Highland Park Cafeteria will also be open from 11-3, serving up all the turkey day faves. - For even more Thanksgiving dining options, check out listings from our friends at GuideLive and SideDish. Happy Turkey Day! *NOTE: Individual ordering deadlines vary. We agree with the nice lady from Dickey’s who recommended “the sooner, the better” when it comes to placing Thanksgiving orders.